Less than two weeks after Disney announced a new seasonal ticket pricing system, it has been announced that the prices for the Disney Dining Plan have also been increased. 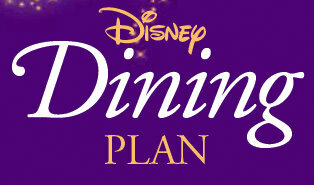 The new Disney Dining Plan prices are effective as of March 9. The prices for the Quick Service Dining Plan are $44.13 per night for guests ages 10 and older, and $19.04 per night for guests ages 3-9. The prices for the Standard Dining Plan are $63.80 per night for guests ages 10 and older, and $22.85 per nights for guests ages 3-9. The Deluxe Dining Plan prices have increased to $115.08 per night for guests ages 10 and older and $35.49 per night for guests ages 3-9. This entry was posted on Friday, March 11th, 2016 at 11:30 am	and is filed under Dining, Planning. You can follow any responses to this entry through the RSS 2.0 feed. You can leave a response, or trackback from your own site.